Aluminium testű hajó: 56m hosszú, 2db 6200 LE-s diesel hajtja. 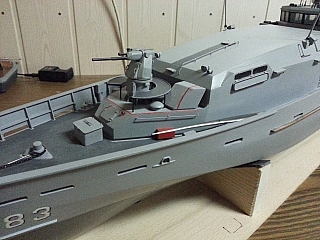 A modern hajóknak megfelelően rendelkezik orrsugárkormánnyal és hullámzást kiegyenlítő rendszerrel. 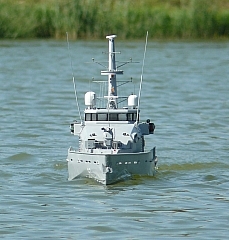 Fegyverzete 1 Typhoon szervós gépágyú kamerás optikával, plusz 4 db géppuska. A partiőrségi feladatokra 2 db rohamcsónakja van, és kb. 20 fős személyzet szolgál rajta. 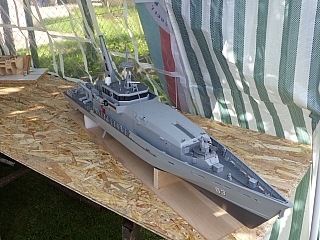 A modell változatot igyekeztem úgy megépíteni, hogy a lehető legtöbb dolog működjön a hajón: lámpák, radar, gépágyú, stabilizátor, orrsugár, valamint diesel hang is! 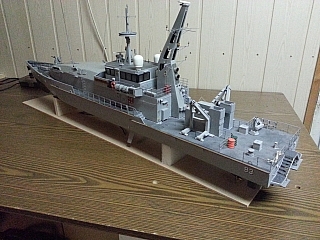 Vikipedia... 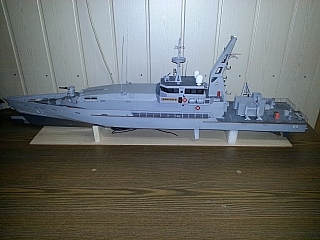 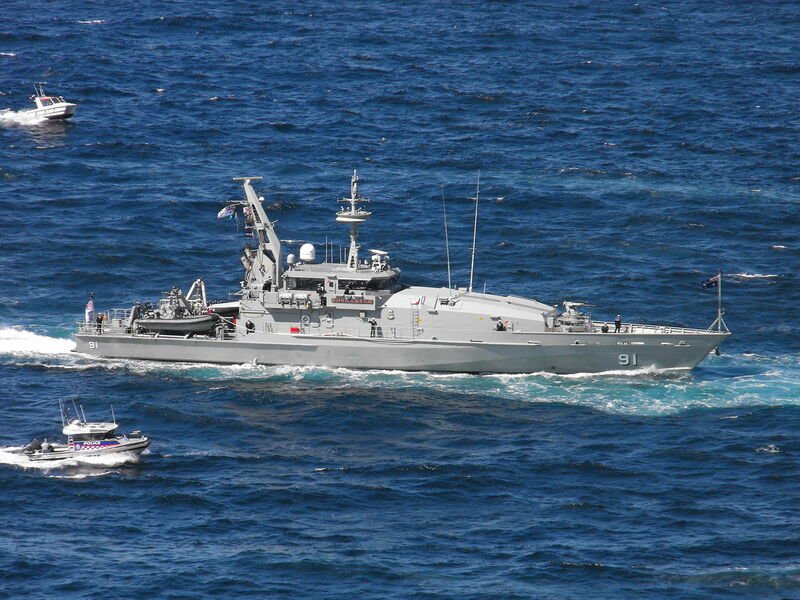 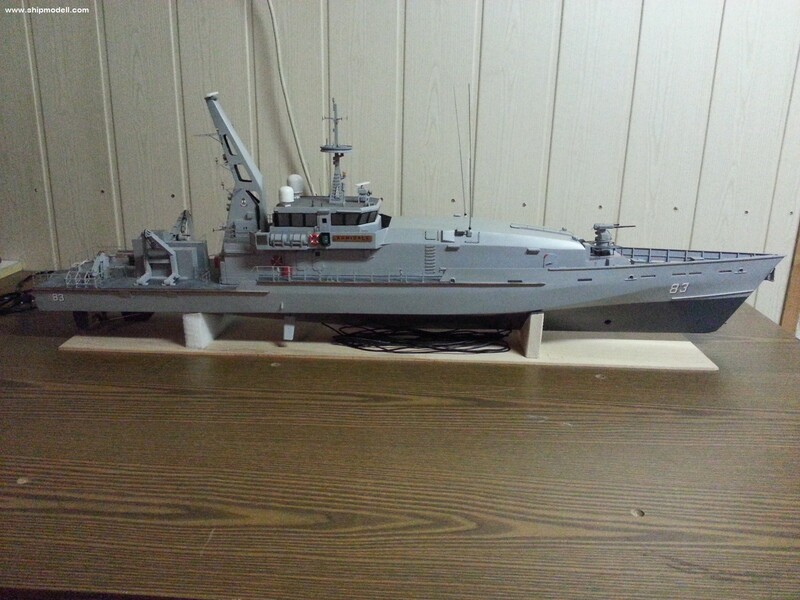 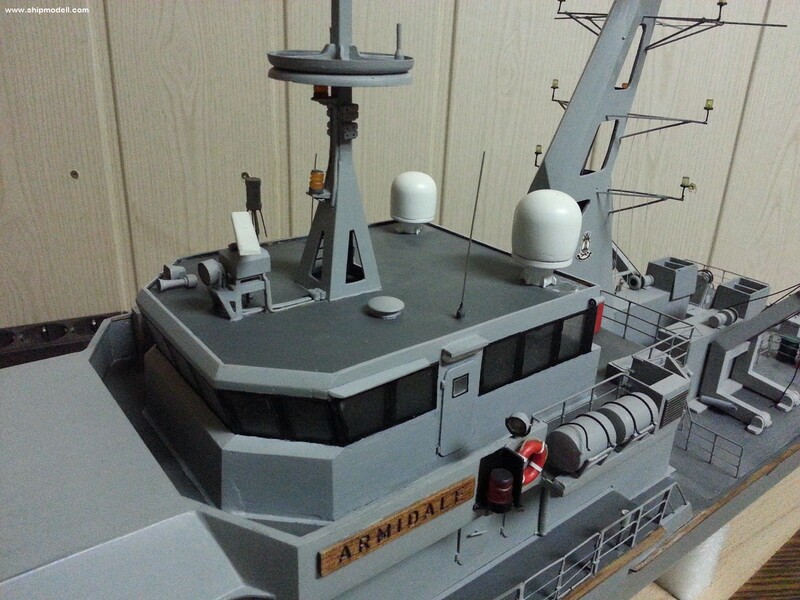 The Armidale class is a class of patrol boats built for the Royal Australian Navy (RAN). 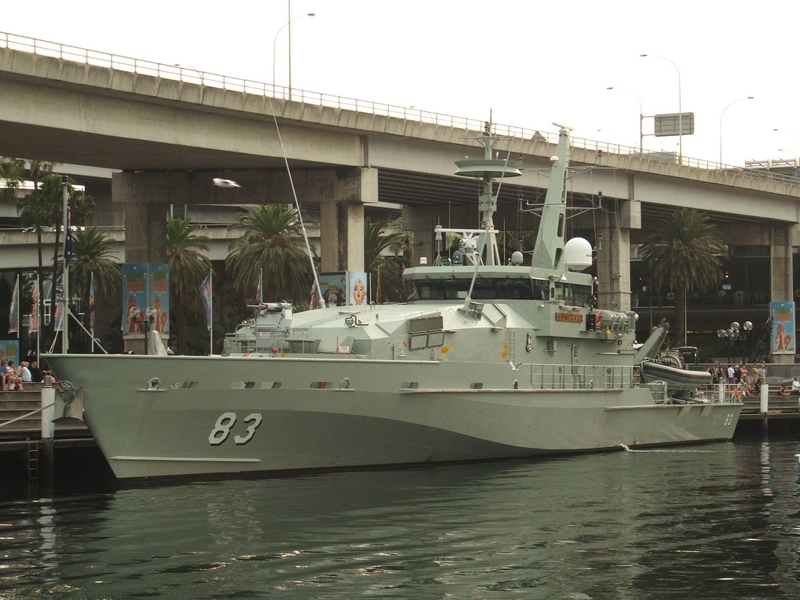 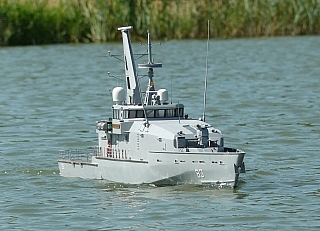 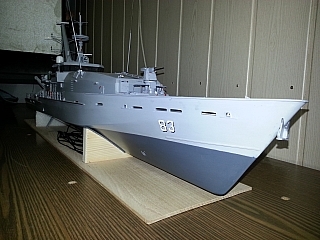 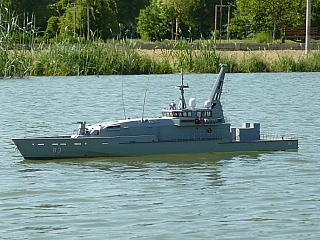 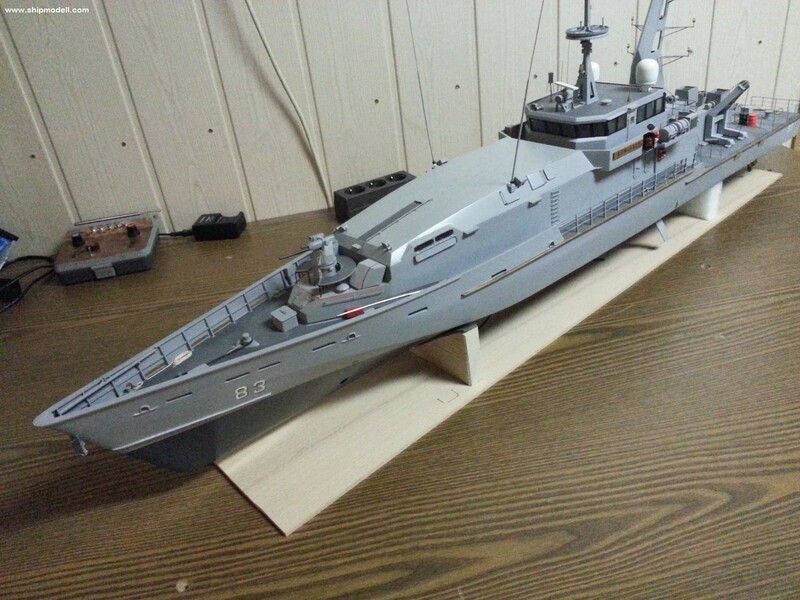 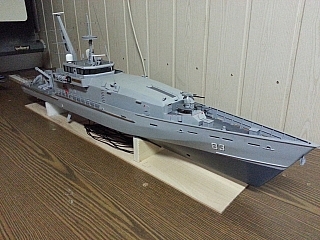 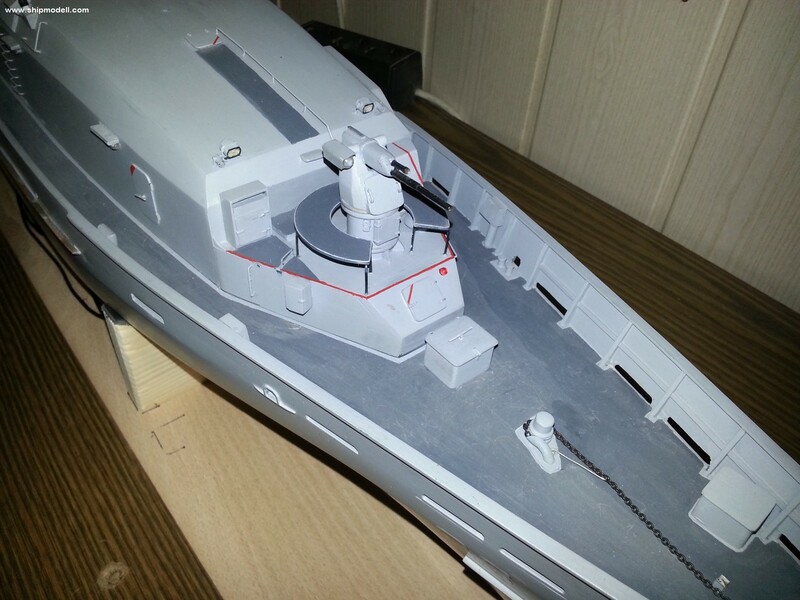 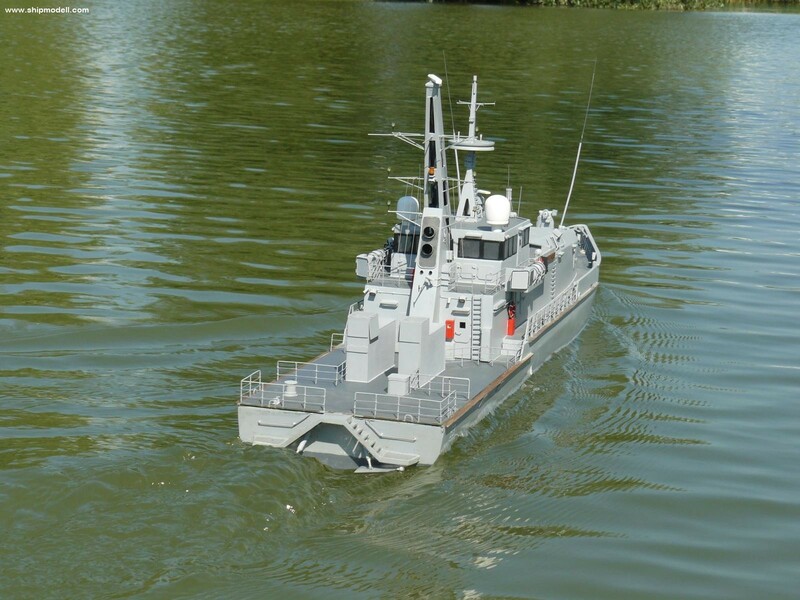 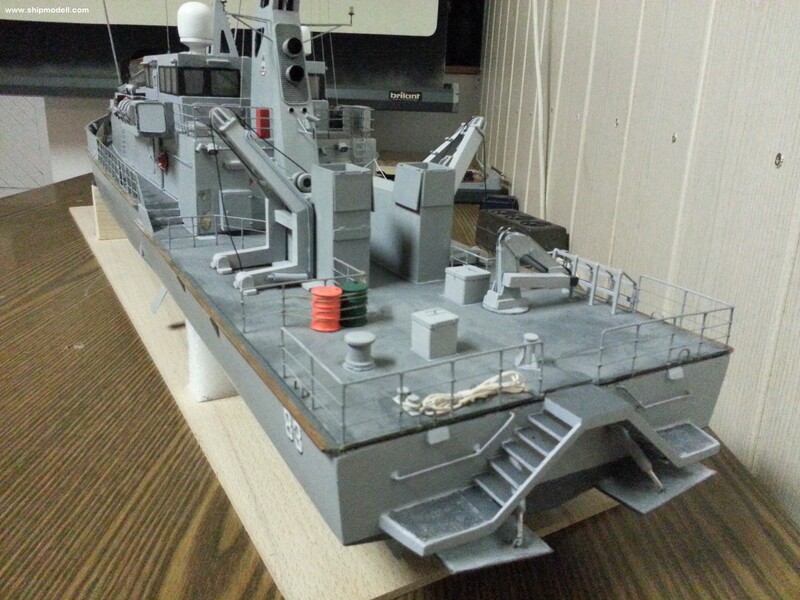 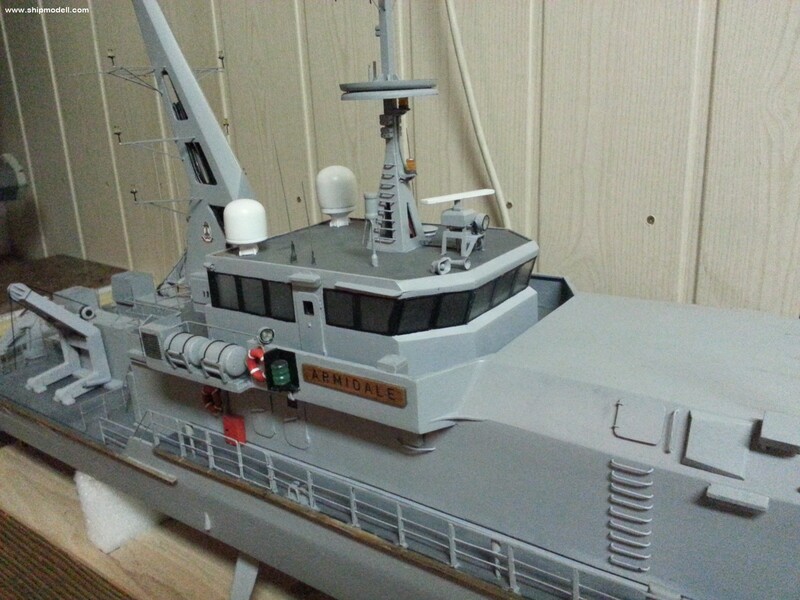 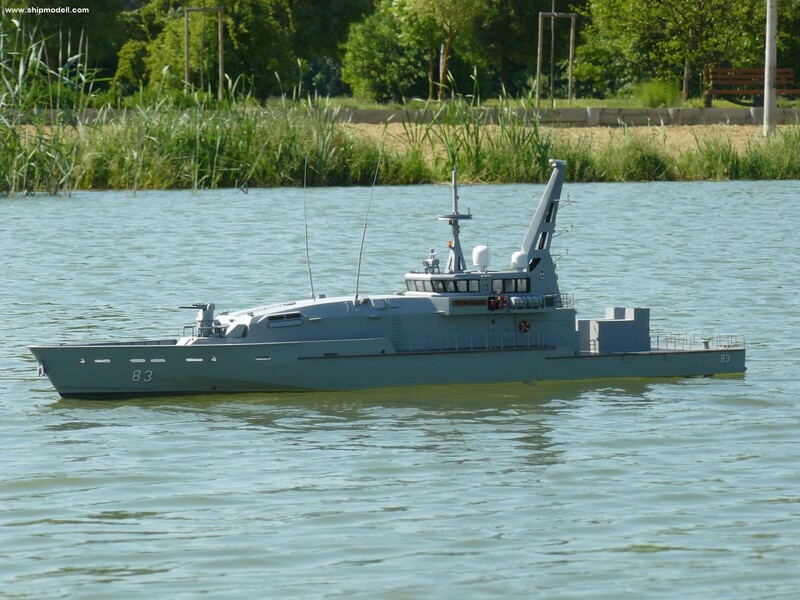 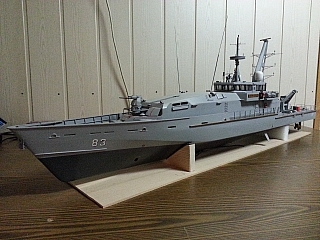 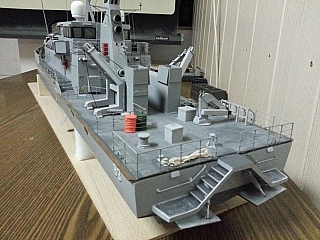 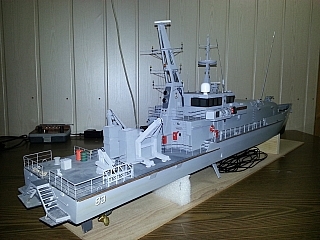 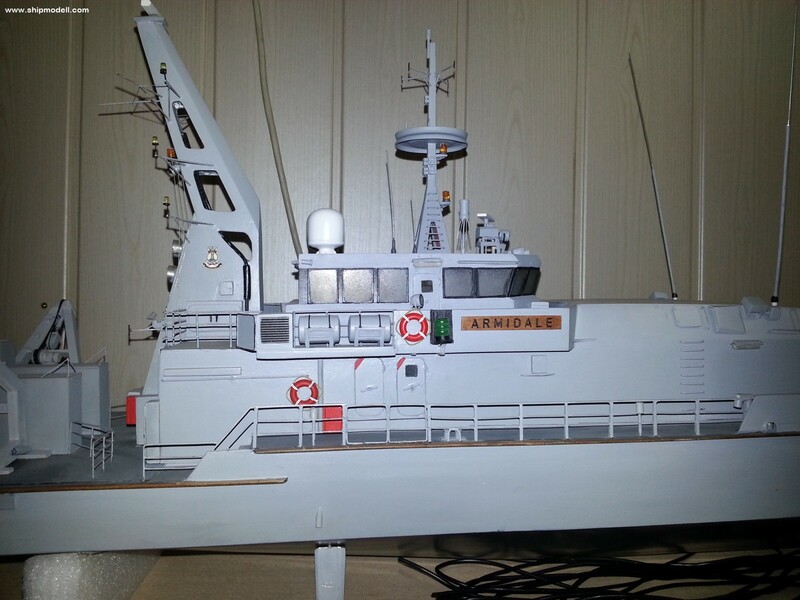 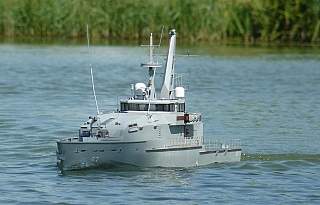 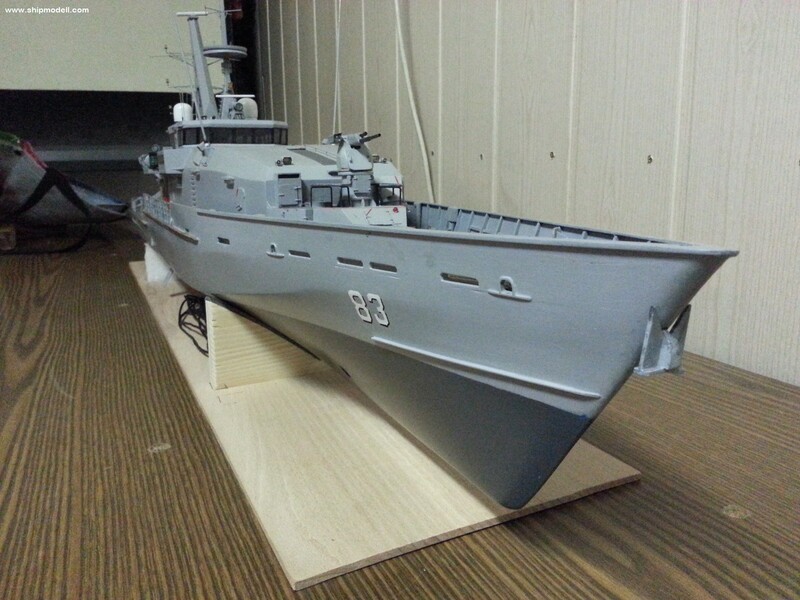 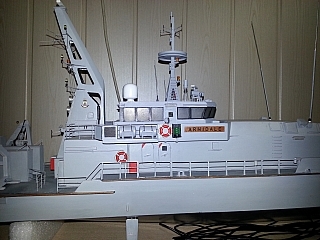 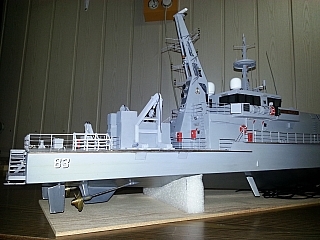 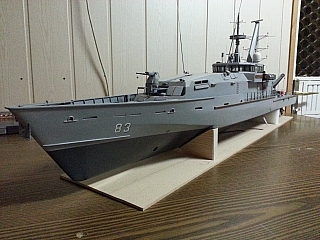 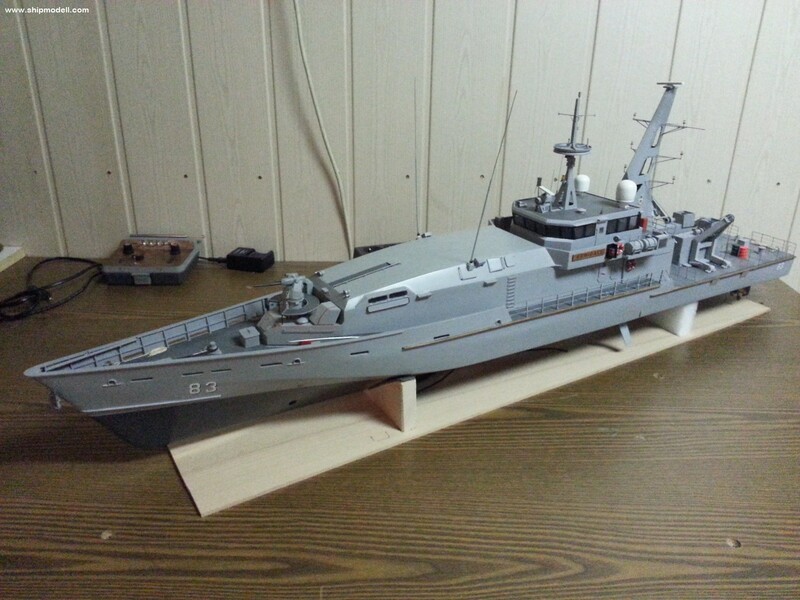 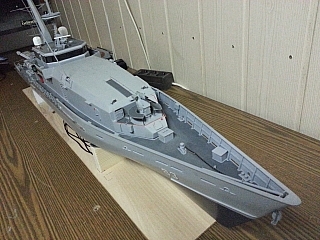 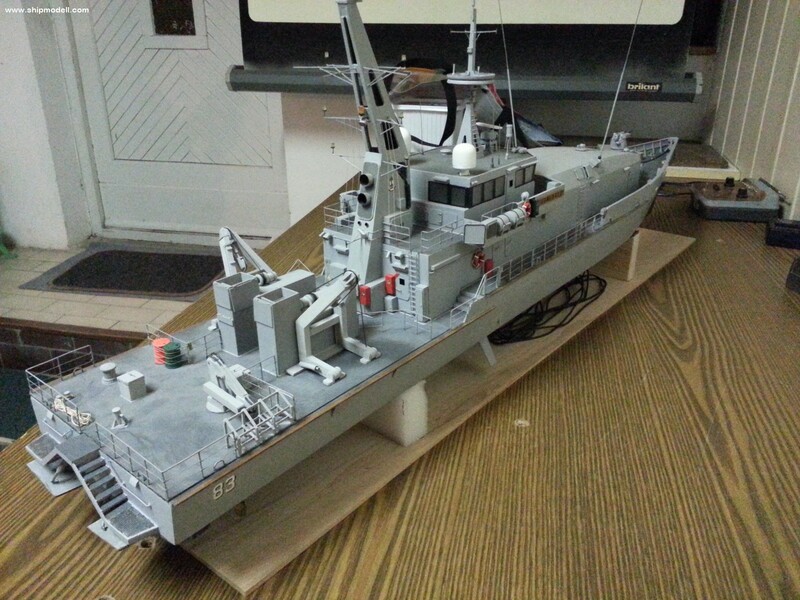 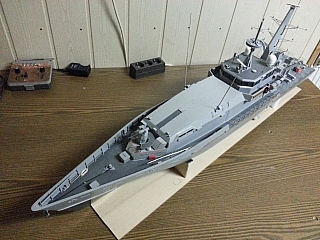 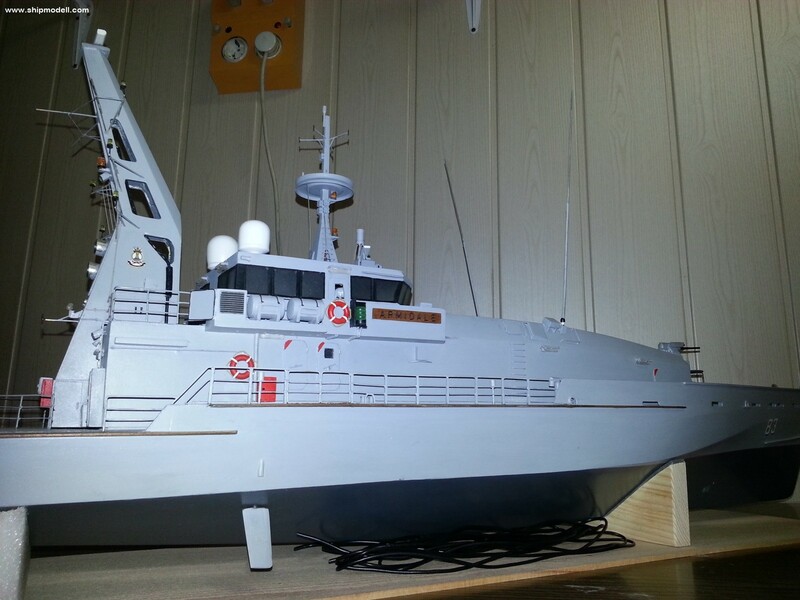 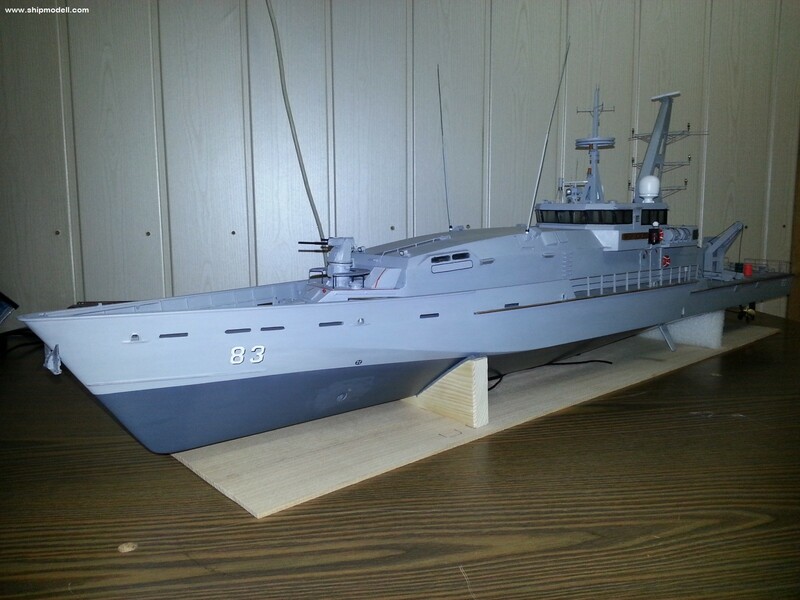 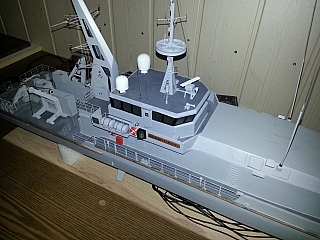 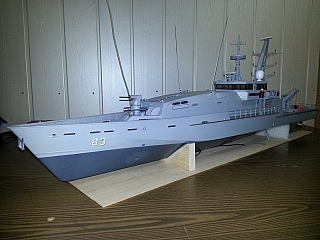 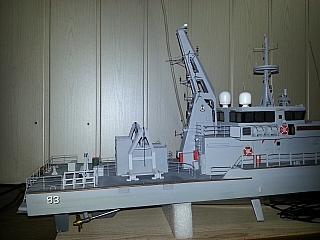 Planning for a class of vessels to replace the fifteen Fremantle-class patrol boats began in 1993 as a joint project with the Royal Malaysian Navy, but was cancelled when Malaysia pulled out of the process. Of the seven proposals tendered, the Austal Ships/Defence Maritime Services (DMS) proposal for twelve vessels based on an enlarged Bay-class patrol boat was selected. Two additional patrol boats were ordered in 2005 to provide a dedicated patrol force for the North West Shelf Venture. 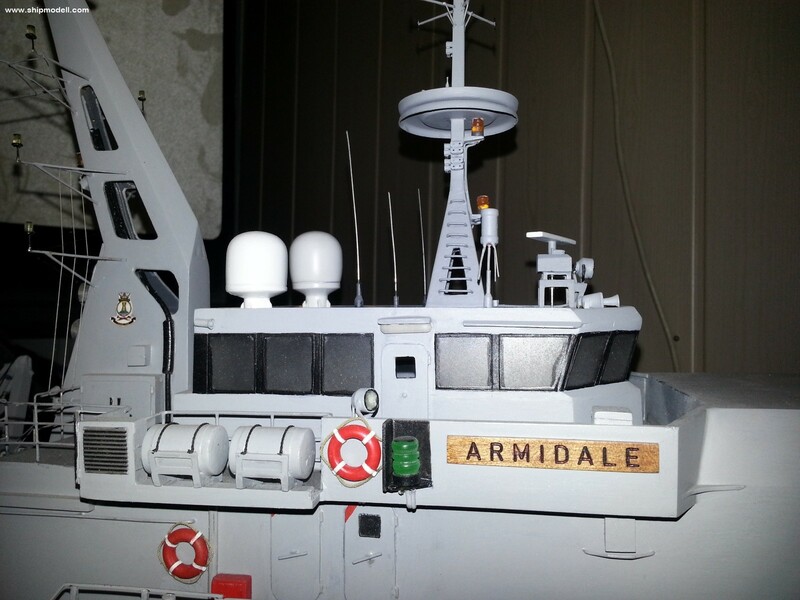 The Armidales are longer and heavier than their Fremantle-class predecessors, with improved seakeeping ability and increased range, allowing them to reach Australia's offshore territories. 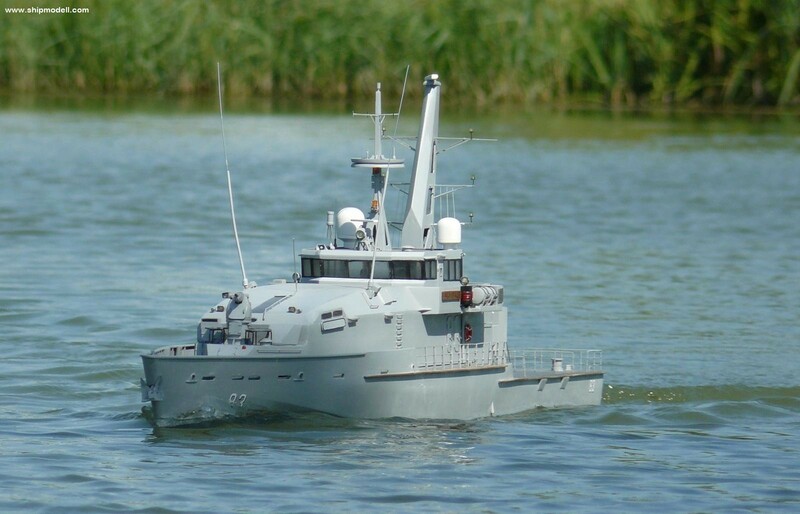 The ships are multi-crewed, with three ship's companies available for every two vessels, allowing the patrol boats to spend more time at sea without cutting into sailors' rest or training time. The main armament of the Armidale class is a Rafael Typhoon stabilised 25-millimetre (0.98 in) gun mount fitted with an M242 Bushmaster autocannon. 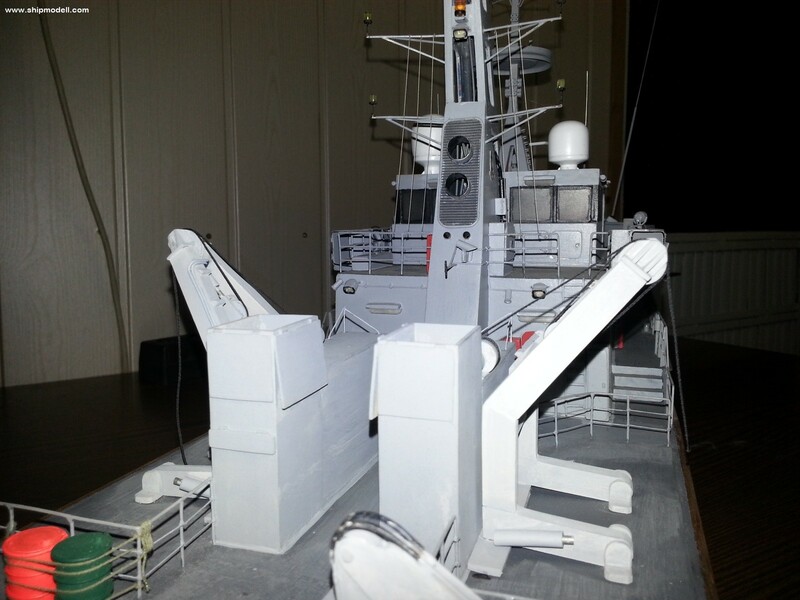 This cannon has a rate of fire of 200 rounds per minute, and is controlled remotely from the bridge. 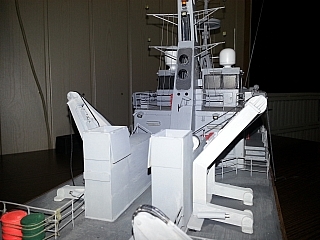 Two 12.7-millimetre (0.50 in) machine guns are also carried. 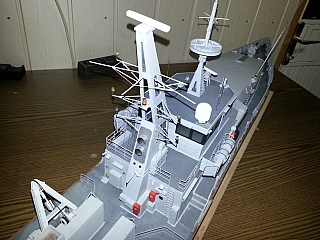 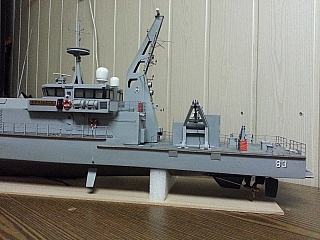 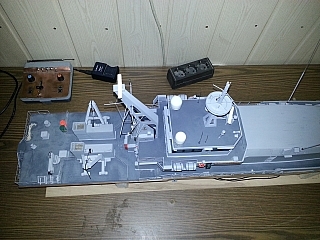 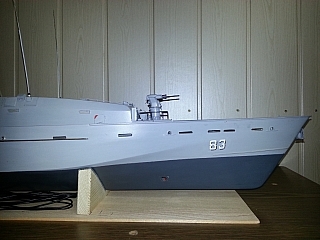 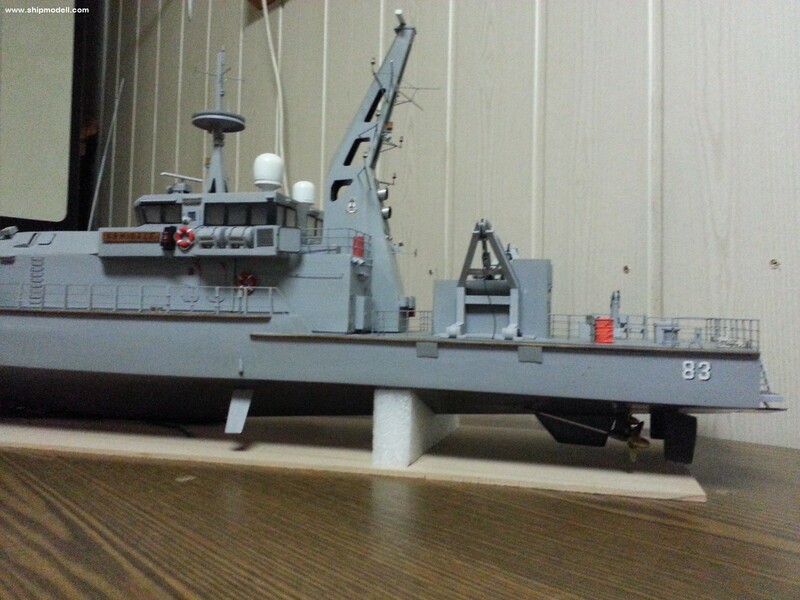 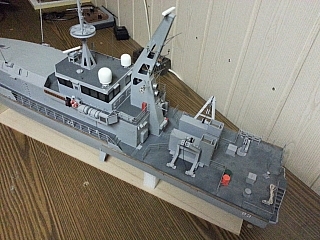 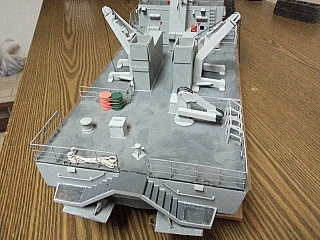 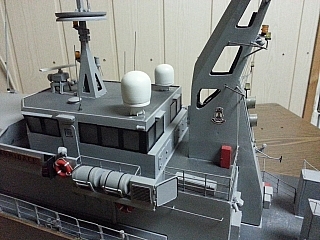 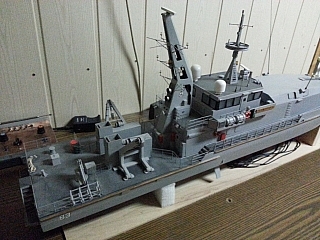 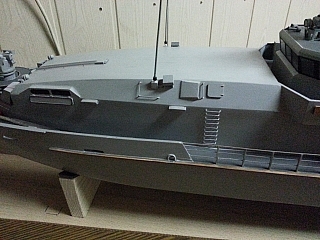 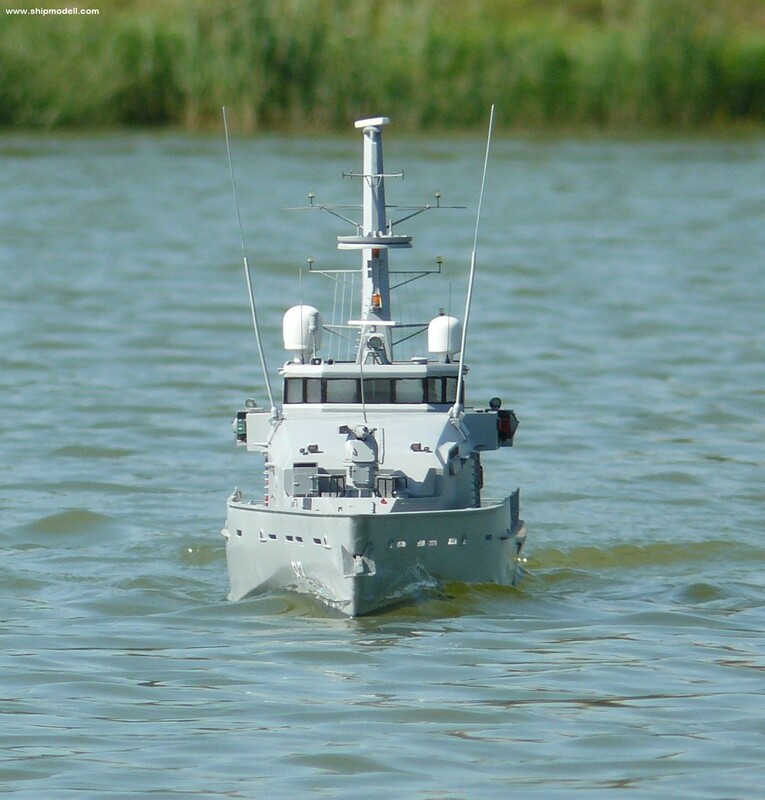 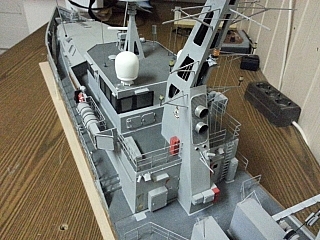 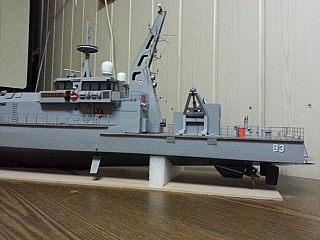 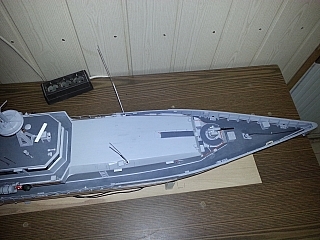 The patrol boats are fitted with a Bridgemaster E surface search and navigational radar, a Toplite electro-optical detection system, and a Warrlock direction finding system. 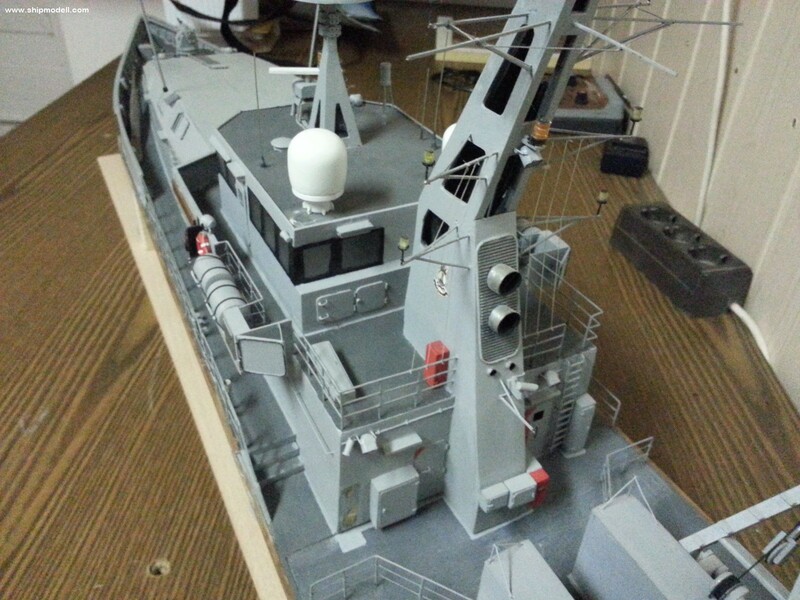 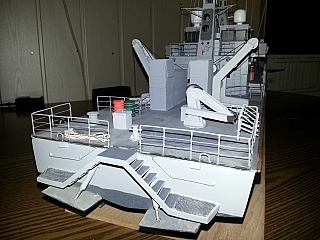 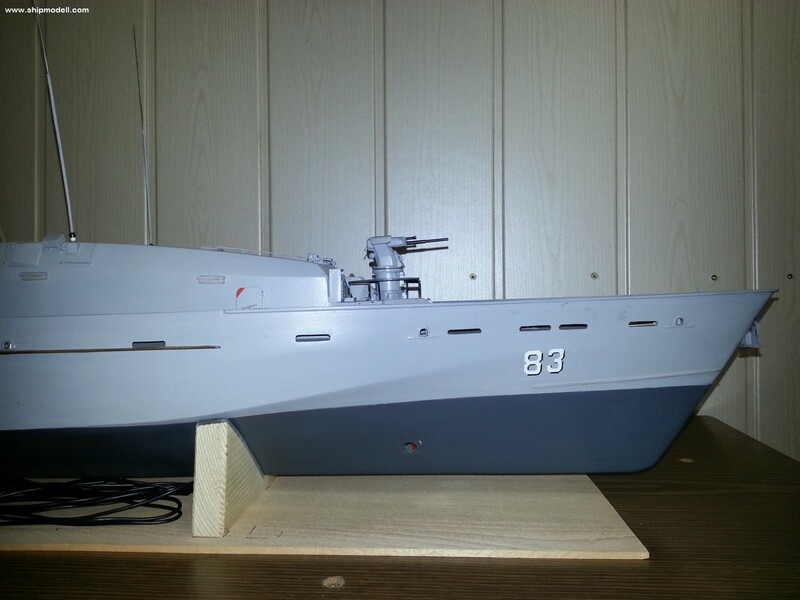 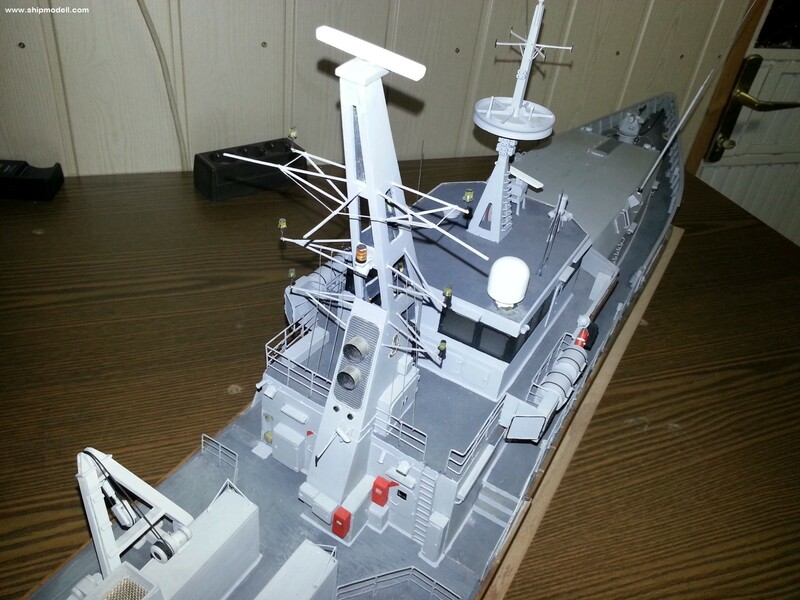 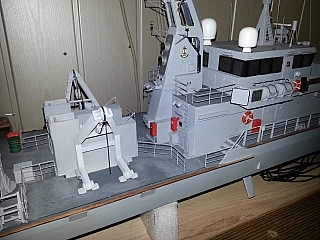 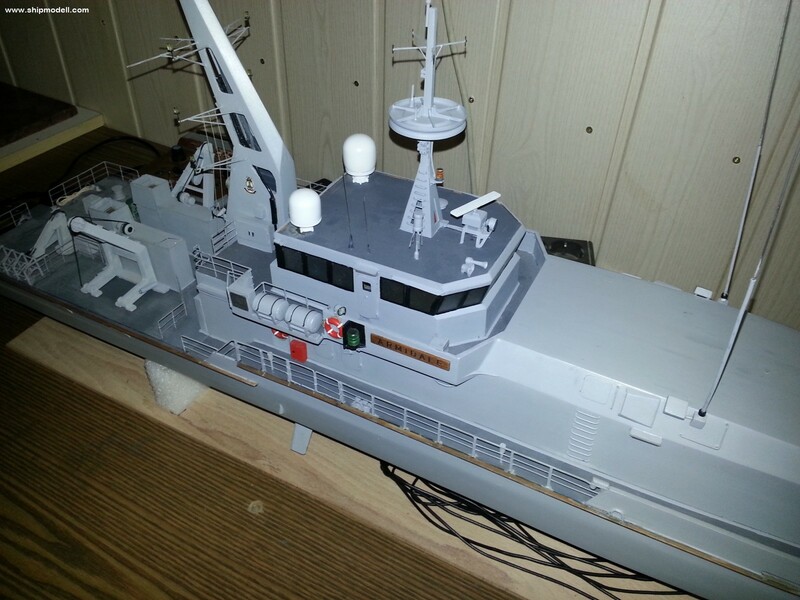 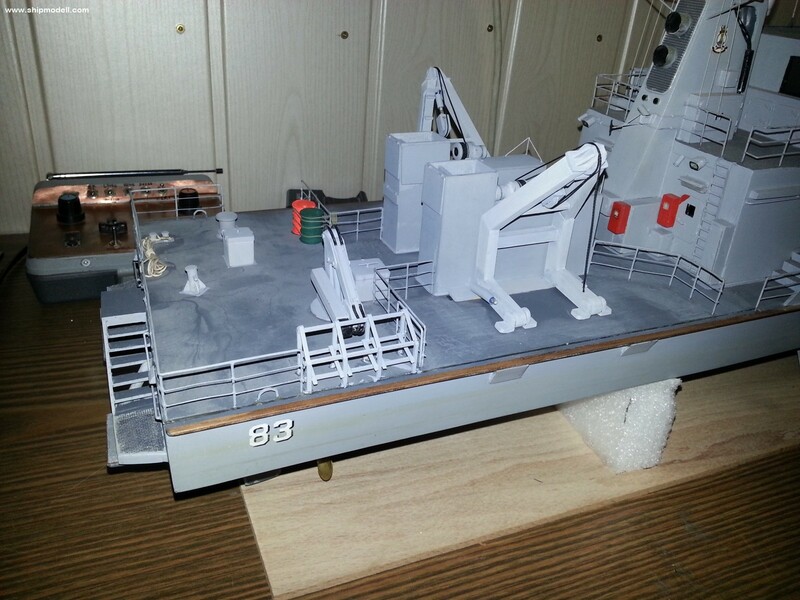 A Prism III radar warning system was fitted to the last two boats during construction, and refitted to the rest. 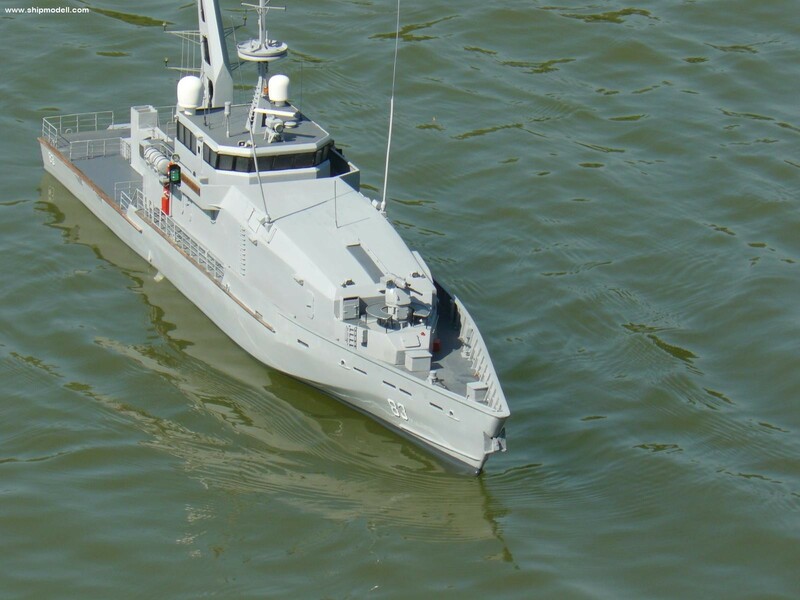 Tenders for an Naval Unmanned Aerial System (NUAS) capability for the Armidale class were requested in mid-2014..